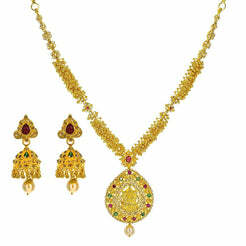 22K Antique Gold KundanNecklace & Earring Set W/ Pearl & Hand-Painted Accents for women. 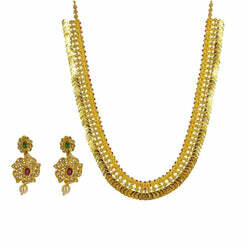 Gold weight is 82.6 grams. 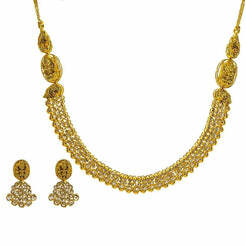 Great set for both Occasion and day to day statement wear.